Well its that time of year just back from my wife’s holiday in Tuscany to see her beloved Andrea Bocelli perform outside in the hills by his birth place. So much not my cup of tea but as my wife’s health gets worse any thing that puts a smile on her face is good enough for me. 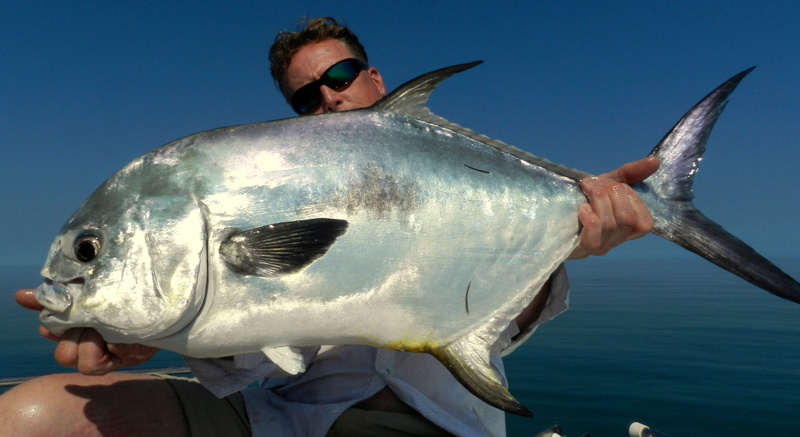 This year a new boys toy to play with as well, Fish the Dream’s fishing holidays in the Florida Keys has chosen as a tester for the new Garmin action camera the Virb what a stunning new device, I will be doing a complete blog on Virb when I have had a bit more experience with it. This year we tried one of the many Agriturismo in Tuscany not far from the concert and strangely not far from my carp lake, theses places are basically converted farm houses but this one not only had the most amazing hilltop pool I have ever seen but an irrigation pond that also had fish as well. My main carp lake was as fun as it always is, the carp have not read the rule book here and feed all day long in bright sun light and I am now the lake rebel using 7 lb main line and no 10 hooks with pop up on the bottom. 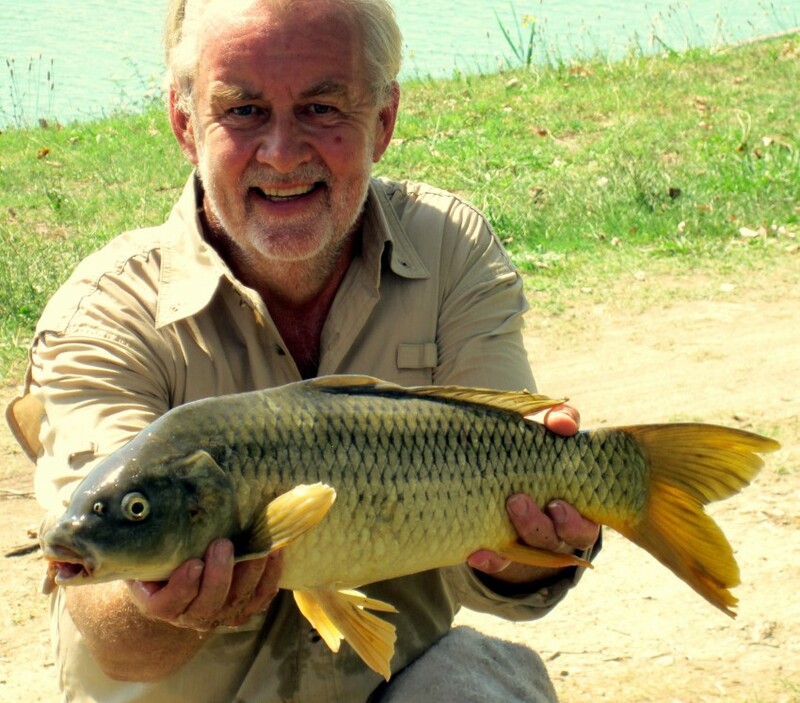 Takes just amazing more a case of catching the rod as it gets dragged in than am I getting a bite, still like using the float but these carp are canny but still not matter how many tarpon or shark I drag over the side in the Keys to see a float slide away ticks my box. 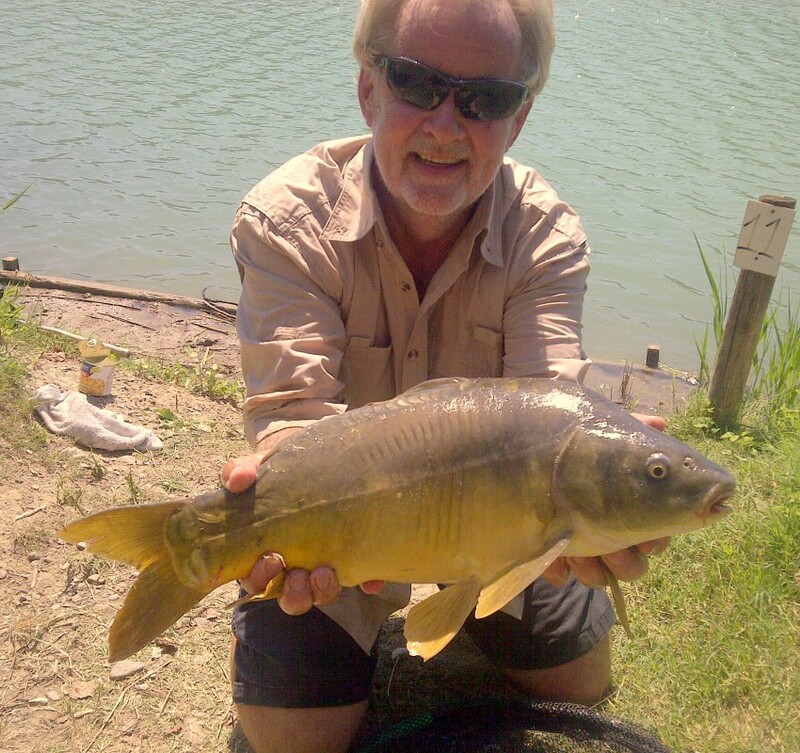 On the irrigation pond hard fighting Prussian carp a bit like Curcian but harder fighting, then one morning bigger fish came up to the bread took it in but spit it out, I looked is disbelief they were Large Mouth Bass. Game on dig in the small travel bag for a few plastics and what fun these fish take hard, jump and even take drag, thanks Mr Bocelli can’t wait for next year. Sorry about the lack of blogs the last week deep in the Tuscan hills for my wife’s fix of Mr Bocelli doing his thing as only he can do, not my thing but as they say a good way to stack up the brownie points and in all fairness some fantastic carp fishing and found a lake with large mouth bass keep an eye on the blog a very strange story. 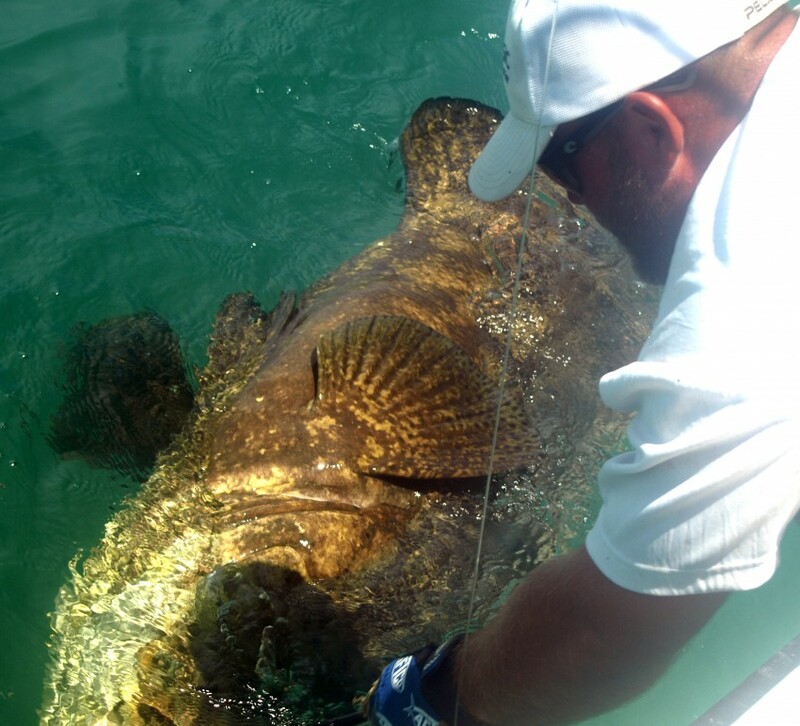 Back to the last year and grouper fishing in the Keys a fantastic year and best of all we now have an other 4 marks where we can catch these fish up to 500 lbs. 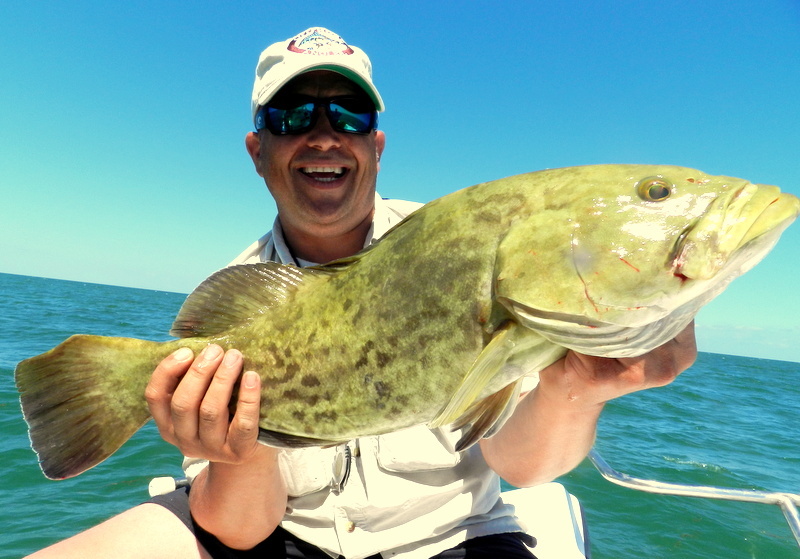 We with the help of Jim Whippy and the famous Whippy walk have the method that works but untill last year only one good mark and on your fishing holiday in the Florida Keys nothing sucked as seeing a boat on your grouper mark but now no problem. One of the new spots is in fact a series of caves which has a very high count of 100 lb + fish and as much rod bending action as you want. 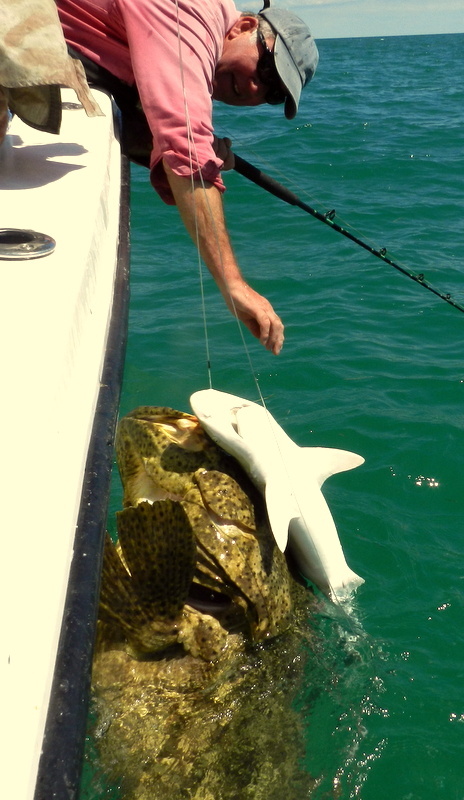 One strange thing came up last year the top grouper bait has in fact turned out to be shark why I am not sure but put on a 10 lb small black nose shark as bait then hang on. 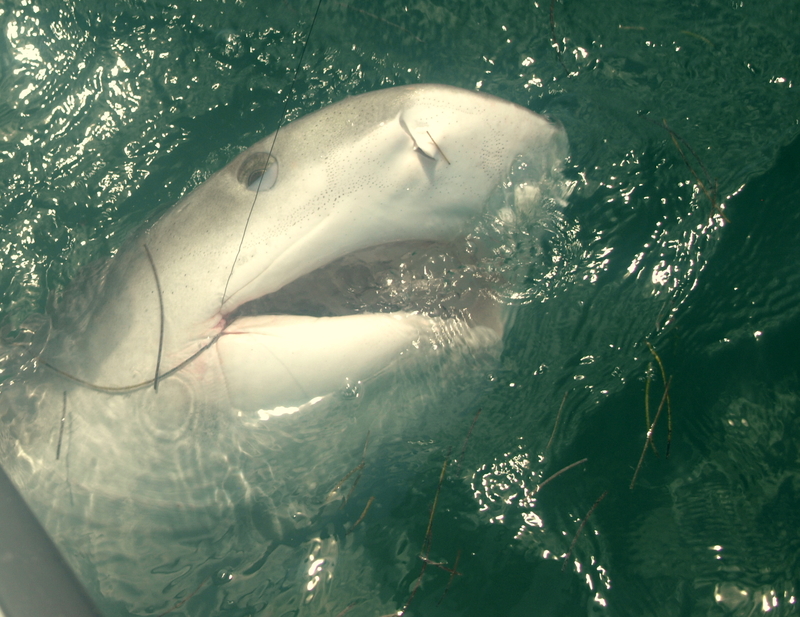 Before you all start shouting where we fish there is not shortage of shark and some days the smaller ones can be like doggies back in the UK so the odd one for bait no problem at all. At last we have found a good source of the 26/0 hooks we like to use and by making them nearly barbless very easy to get out and nearly all hook ups in the corner of the mouth. 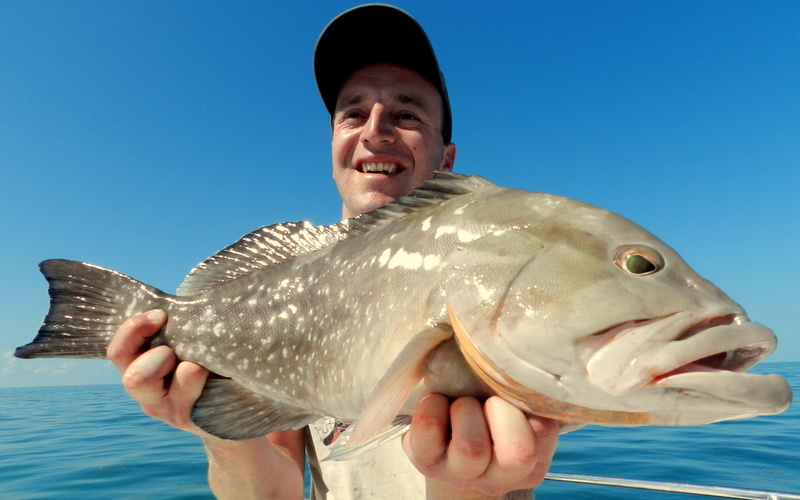 Yet an other 4 month ban on keeping gag, black and red grouper and yes it is making a difference the guys out here just have it so right and long may it continue. John’s trip the other week with Fish the Dream’s summer skip Brent Kindell was a very special trip on more than one front, firstly they had some stunning fish just what Brent does but to my mind a family trip. John is a very lucky guy to have on your dream trip your 83-year-old dad and your 18-year-old son that must have been very special neither my dad or son fished but then both my grandsons do. So highlight of the trip I think it must have been that tiger shark to see one close up is very hard to describe enough to say it will live them all for a very long time. To see and watch your son battle and win with grouper well into the hundreds very cool as well, then to take fresh tuna to waterside restaurant can it get any better. Have a look at what John put up on Trip Advisor it says it all. 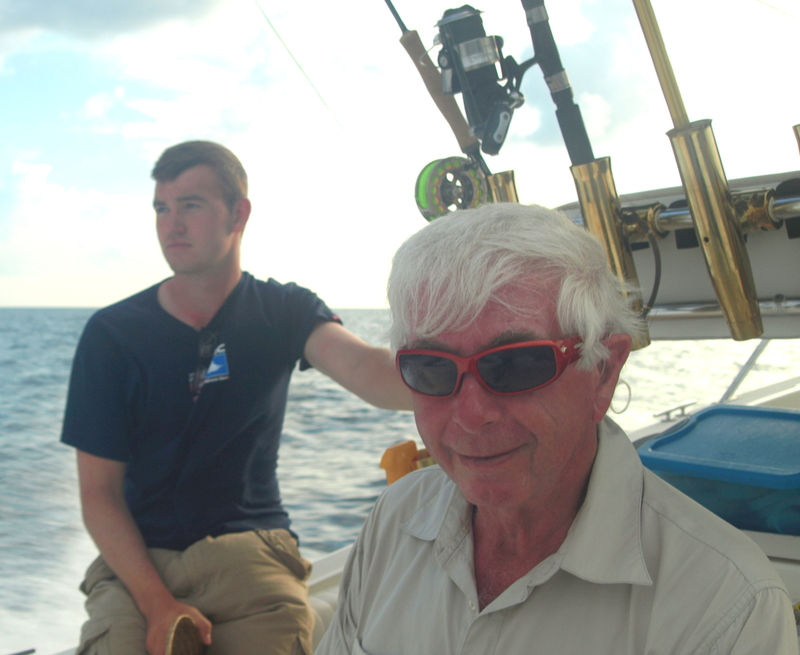 Fished with Captain Brent on 5 days whilst over from the UK with my 83-year-old dad and 18-year-old son. Brent is easy to get along with, patient and very knowledgeable. 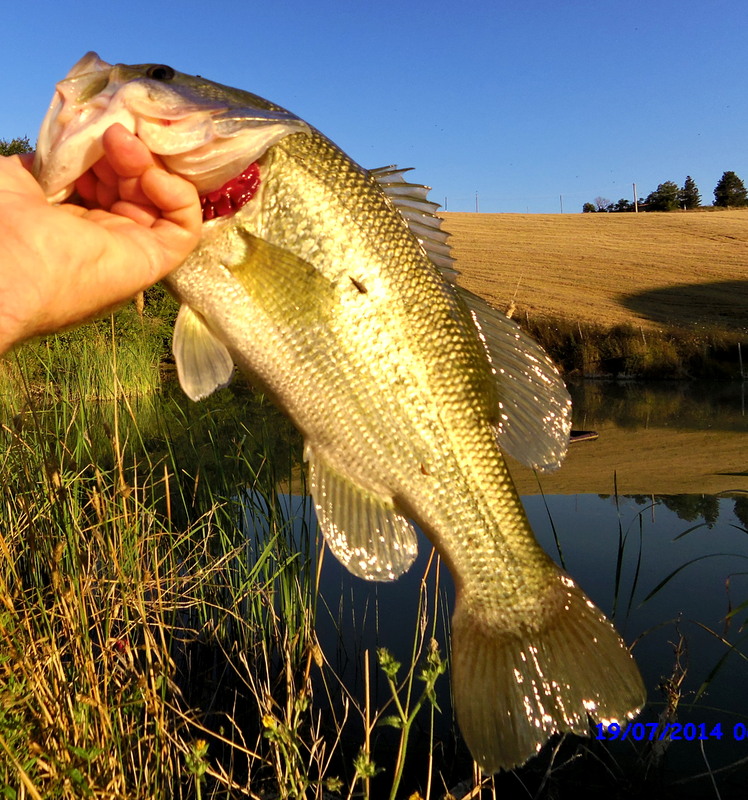 His boat is well equipped for all manner of fishing, clean and great to fish from. 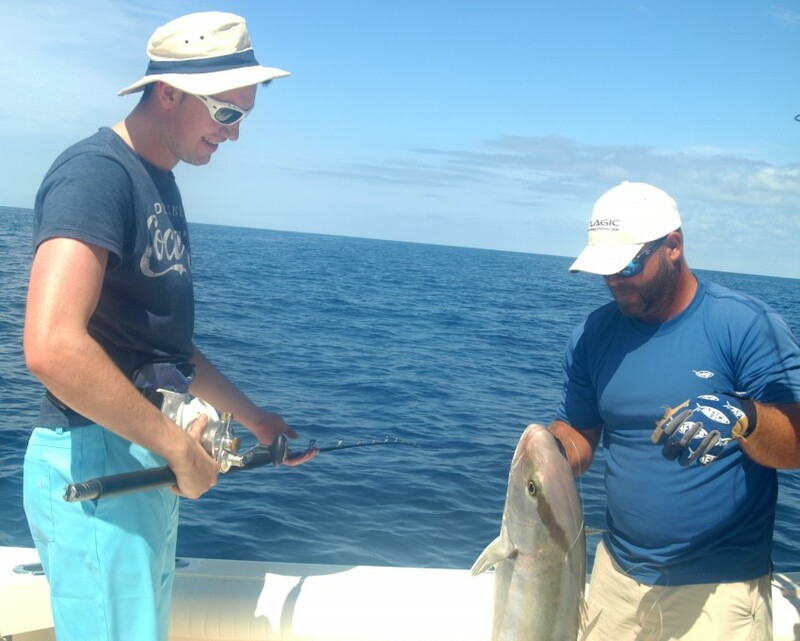 We caught 8ft Tiger shark and several BIG grouper (200lb plus) and loads of great sportfish in the Gulf. 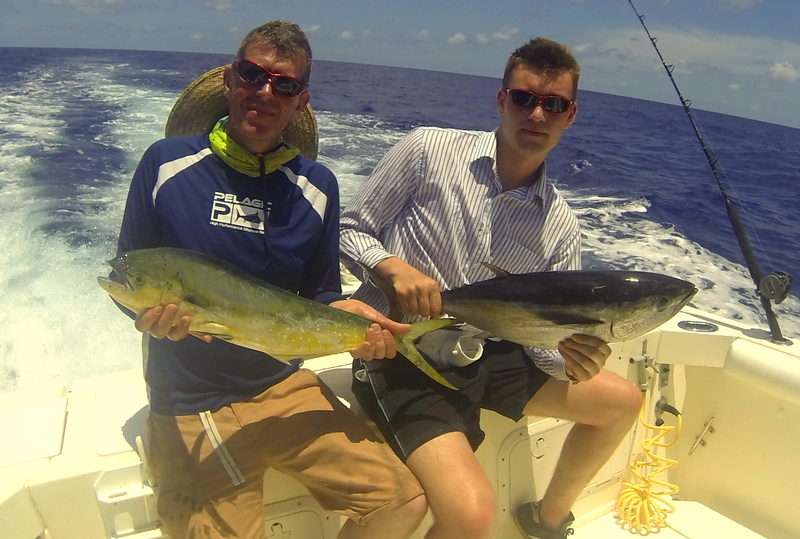 Oceanside we got big amberjack, great tasting blackfin tuna, a mahi limit and others. 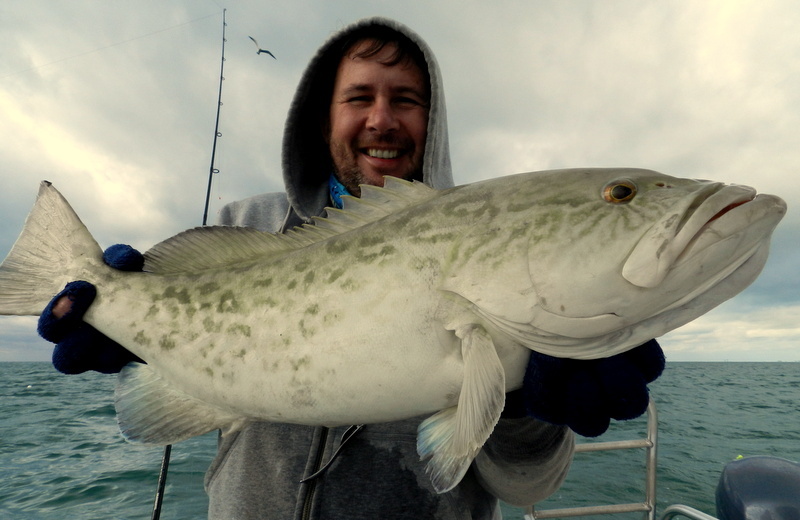 Great fun on my flyrod as well, with mahi, jacks, ladyfish and houndfish which all go like crazy on a seven weight. Brent will NOT give up- if the fishing slows he always has a plan and a big list of marks to try. When I come back to the Keys I will book Brent in a heartbeat. 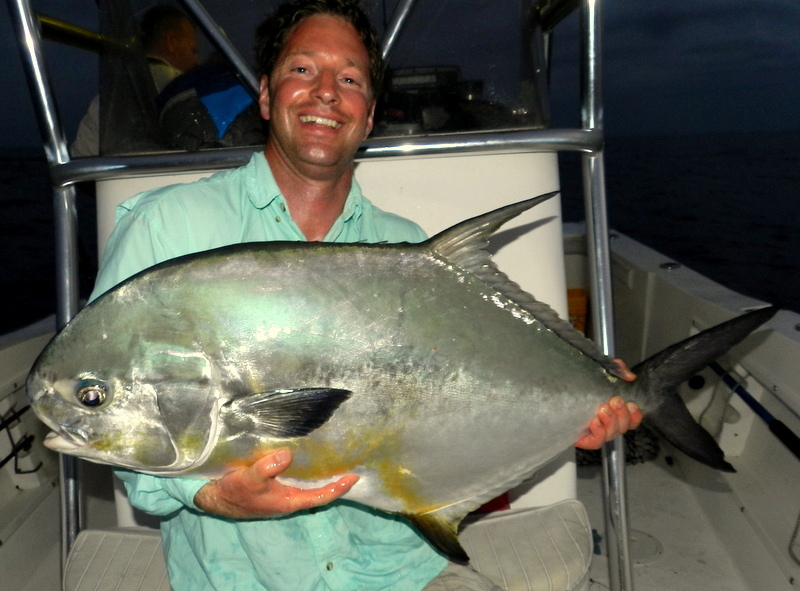 It amazes me that after doing fishing holidays in the Florida Keys for over 10 years we are still coming up with firsts and this year it has been catching big permit in the bay. 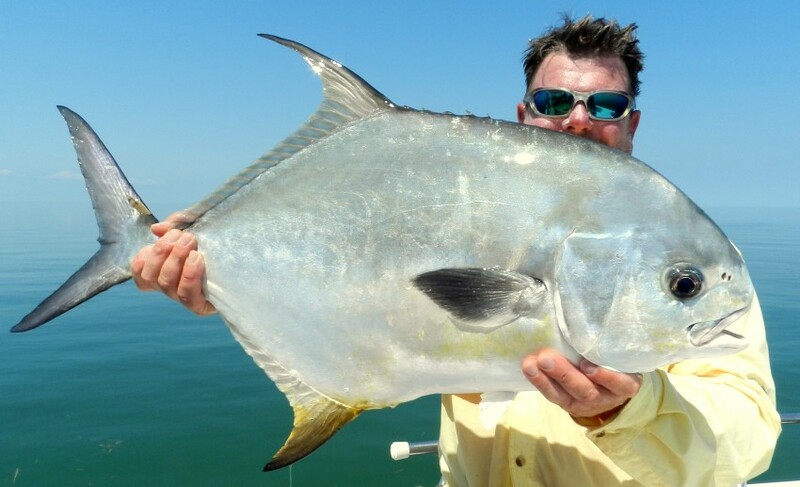 We have always had good success with the permit spawn on the deep wrecks in the Atlantic, in fact a few years ago with a 48 lb fish very near the Florida record but permit in the bay has always eluded me till this year. While my boat is a very good for the shallows of the bay not good for stalking the fish in the less than the 12 inches they like in the bay, and in all fairness very hard to keep 4 guys as quite as you need to be. Last year on a new wreck more than once we saw permit but the guys at the time did not have the bait which has to be live crabs to stand any chance. So when that forecast came up this year we dream about, wind speed 0 calm, Lee’s party loaded up with crab and deep into Florida bay we went, yes it is always hard to ignore the shoals of 20 lb + barracuda but yes there were the permit and I have to give it to John Aplin he stuck at it and sight casting to the moving fish very special. Well after some time John was screaming fish on an started a long fight with a 20 to 30 lb permit and in just 10 ft of water boy did it give him a work out. The only problem with this wreck it come up to 5 ft and after a long time the line hit the wreck and fish off as did John’s second fish but the third came in and what a happy angler job done, Lee and Ben joined the permit club as well, happy campers or what. The offshore permit bite was a little strange this year but we had some fantastic fish but it was a first light affair and it is a time of day I like, no pressure from other boats. 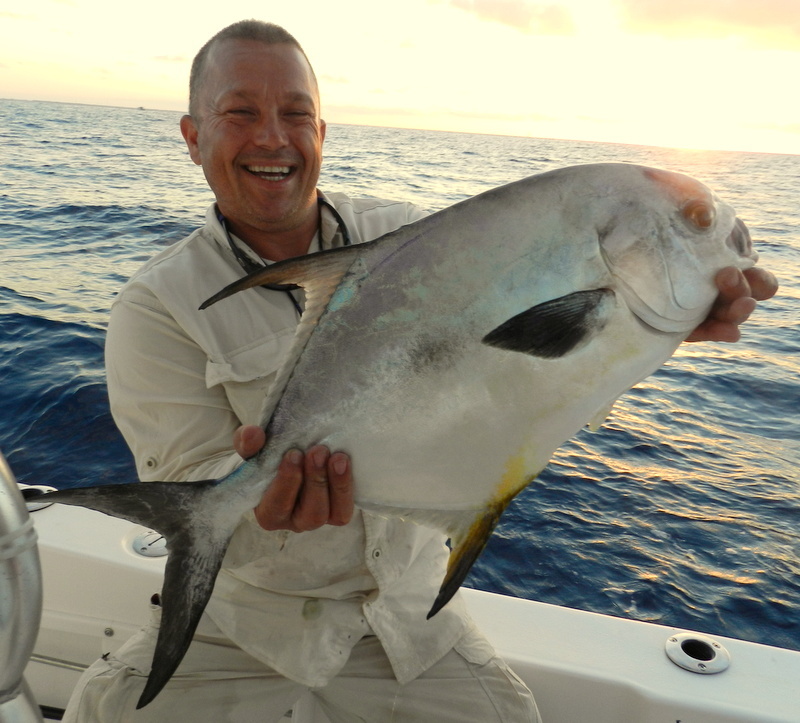 Neil’s fish was the best a solid 35 lb of hard fighting permit and on Neil’s line it only seems to end one way fish to the boat. While the offshore permit end very quickly it will be interesting to see how long they stay on the bay wrecks one thing is for certainly always a few crab in the live well. At last a few more reports and pictures from my Capt Brent Kindell who is looking after my guys during my summer break from the Florida Keys. 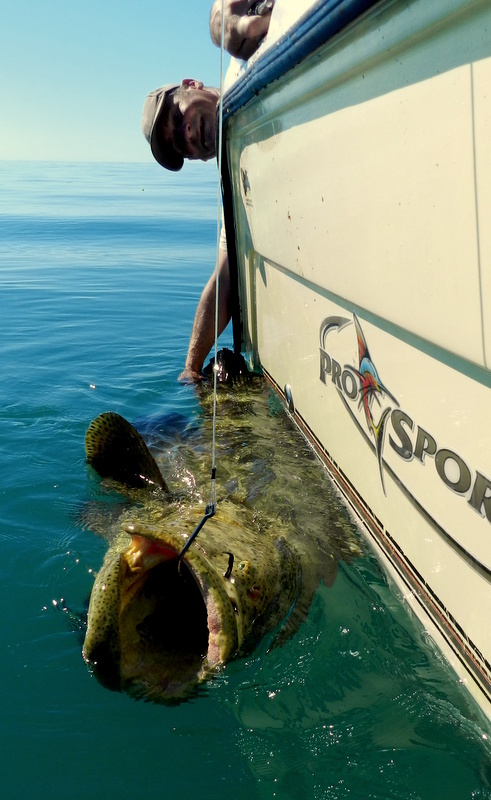 The Mason party who started off so well with a tiger shark and massive goliath grouper have been having some serious fun offshore. 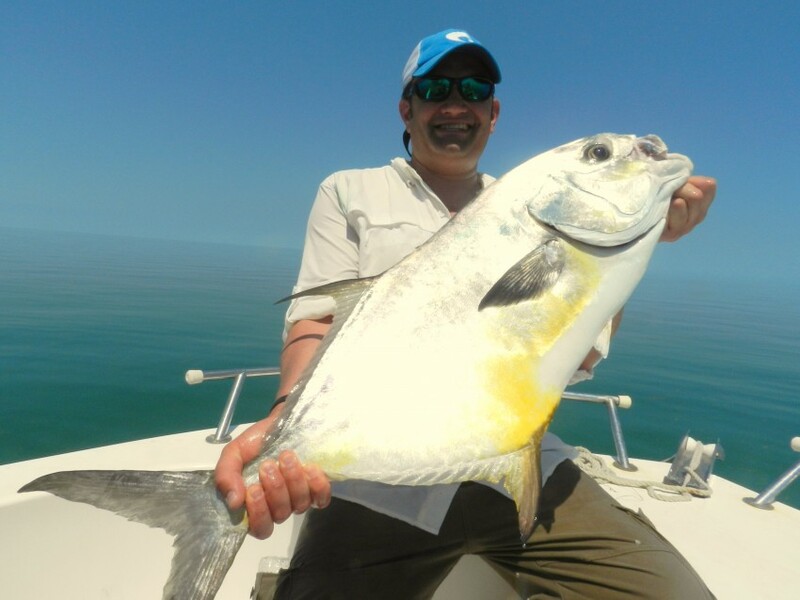 Any one who has had a dorado on fly has ticked a very special box, the jumps and the colours of the fish just amazing in fact I can remember one guy who said after seeing over 20 chasing his fly ” Rodney you have totally screwed my trout fishing back in the UK “. Still not sure about saltwater fly fishing, maybe I am to old school, but why throw an artificial when I can throw the reel thing on a better rod and reel with a proper drag. 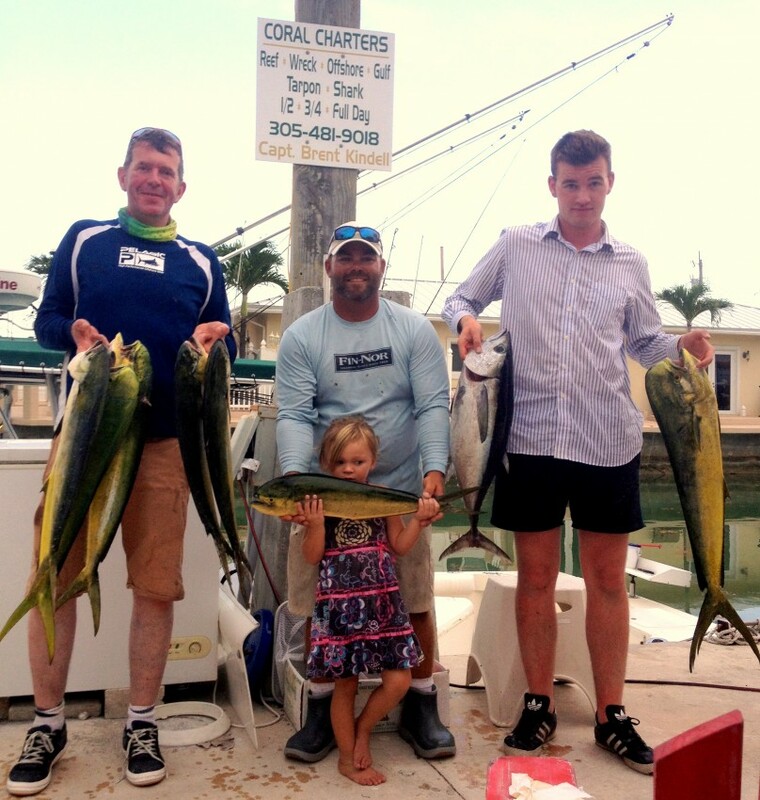 However on a fishing holiday in the Florida Keys with us you the angler make the choices we just put you on the fish. Brent has been off for the last few days the flu bug, yes even in the tropics you can get ill and some times simple flu is even harder to shake off when you go from the steamy heat of outside to the very cold A/C of inside. So looking at the videos nice tuna and dorado offshore, lucky boys, and young Harry having and winning some good battles with our grouper. I am going to have a long chat with John Mason so maybe he can tell me more, one thing is certain they must have been spoilt for choice on which one to eat I hope they had both, maybe sushi starter then a huge plate of grilled dorado, yes I love my seafood.